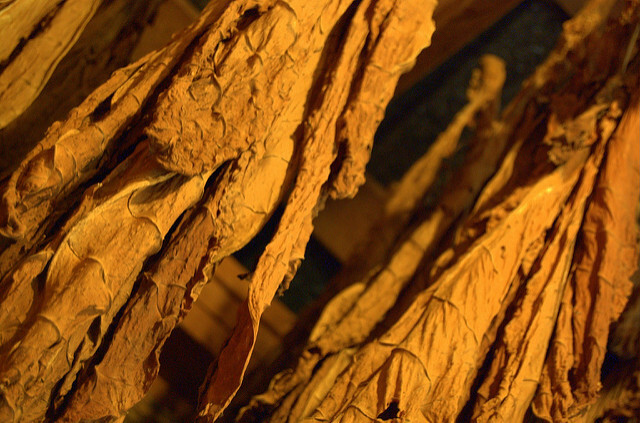 The EU should require raw tobacco to be traceable, back to a farm, and include its country of origin in its packaging, a Swedish campaign group told euractiv.com. Swedwatch, a non-profit organisation which monitors the impact of businesses on human rights and on the environment in developing countries, issued a report highlighting serious human rights problems in the Bangladeshi tobacco industry. In its Smokescreens in the Supply Chain report, the Swedish NGO blamed British American Tobacco (BAT), the world’s third largest tobacco company, for “expanding cultivation into new countries without adequately addressing human rights challenges”. Swedwatch said it had identified widespread child labour issues and severe health issues in BAT’s Bangladeshi supply chain. Frida Arounsavath, a researcher at Swedwatch, told euractiv.com that the workers producing tobacco for BAT Bangladesh (BATB) were farmers, their wives and children, and also hired agriculture labourers, as well as their family members. “Children and adults alike report health problems from exposure to pesticides, absorption of nicotine through the skin when handling the leaves (the acute poisoning is called Green Tobacco Sickness (GTS), and finally, respiratory problems from tobacco dust and smoke from the kilns when drying cured tobacco,” she stressed, adding that children often spend long hours engaged in hazardous tasks. “An interviewed doctor stated that many tobacco children are weak and underweight. A teacher described that children in tobacco families have a high dropout rate, and because they are so weak, they do not do well in their studies,” the researcher said. Although admitting that agriculture production agreements between purchasing companies have the potential to ensure cash income for smallholders, Arounsavath noted that contracts should have predictable profits to help farmers afford high investment costs. “Tobacco carries high investment costs for the smallholder farmers, and at the same time has the potential to yield high income,” she said. 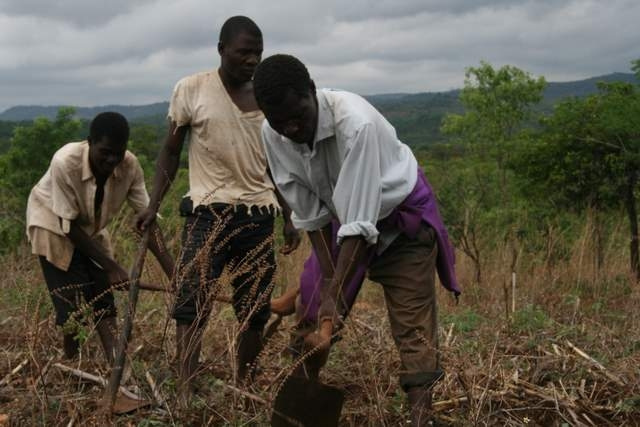 According to Swedwatch, at the beginning of the season many farmers – especially poorer, landless farmers – had to take substantial loans from local moneylenders to be able to afford the investment costs. “Many farmers have to delay their loan payments and take additional loans for two or even three years. One loan leads to another, and the farmers are trapped into a cycle of debt,” a local agriculture officer is quoted as saying in the report. Swedwatch claimed that contracts sometimes were made on blank sheets of paper and farmers did not get copies of the contract. In addition, in cases of natural disaster, which affect harvests, farmers did not have the possibility of complaining or renegotiating their contracts. However, Swedwatch stressed that in late May 2016, farmers in Bangladesh’s Bandarban district received a new type of contract from BATB representatives, which has clear clauses on purchase volumes and were in a local language (See the contract here, page 77). BATB told the farmers that they will receive copies of the signed contracts and that these will be valid from the onset of the 2016-2017 growing season. Simon Cleverly, Group Head of Corporate Affairs at British American Tobacco, said that the report presented a “misleading and inaccurate view of our tobacco leaf farming supply chain in Bangladesh”. “We take allegations of this nature extremely seriously and consequently we investigated the allegations in detail in the course of preparing our response to Swedwatch. We are surprised and disappointed that much of the information we provided to Swedwatch, which includes a detailed point by point response to each of the allegations made, appears to have been disregarded in the report’s conclusions,” Cleverly pointed out. He added that the General Manager of BAT Bangladesh was recently awarded the Enterprise Asia’s Asia Responsible Entrepreneurship Award in recognition of the company’s ongoing efforts to operate responsibly in a complex environment. “Our investigation findings were also consistent with the findings of a number of independent studies that we have commissioned on tobacco growing and rural livelihoods over recent years by highly respected organisations such as the Policy Research Institute of Bangladesh (PRI) and DD International (DDI),” Cleverly said, adding that the company is keen to look into this matter further. “We have asked Swedwatch for details of the farm locations where these alleged incidences have taken place so that we can investigate further and, if necessary, take remedial action. However, we have yet to receive this information from them,” he concluded. The EU is Bangladesh’s main trading partner, accounting for an estimated 12% of the country’s total trade. In 2001, a Cooperation Agreement was concluded which grants duty-free, quota-free access for all exports, except arms and ammunition. Arounsavath added that the EU should take into account the impact of tobacco farming on poverty, human rights and the environment in multilateral and bilateral trade agreements. According to Swedwatch, this should also be the case for policies, programmes and projects as part of “development cooperation and other capacity exchange programmes with tobacco-growing nations”.